In a world that is increasing its online presence, IT services are more important now than ever before. This is especially the case for small businesses. If you want to be taken seriously in the business world, it is crucial to stay on top the latest trends with IT. This is where outsourced IT services can help your business shine. 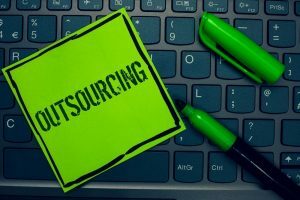 Here are some functions that outsourced IT services can offer you. This translates to how applications are managed, and databases and backups are maintained. This helps to keep your data safe and ensures that your business is always up and running smoothly. Another vital aspect that outsourced IT services can offer your business is communication services. In order to maintain a functional business, all of your systems need to be able to communicate, and that’s where IT services can truly make a difference. This includes wired and wireless internet management for data centers, network management, phone systems, email, and intercompany messaging (IM, Skype, Slack). This ensures that applications have an appropriate uptime, enables application patching and maintenance, and assists in application data management. While compliance depends on the industry you’re in, chances are your industry also has some sort of standards to comply with. One of the most common compliance structures that businesses must adhere to is PCI. PCI is a structure that retail industries comply with to accept credit card payments and perform successfully within the retail sphere. The goal is to mitigate the risk to consumers personal identification information. This allows for general assurance from the consumer level to perform business with companies as well from the business’s legal level. Security services can be leveraged to secure and maintain network perimeters through management of firewalls, web proxies, and intrusion detection systems. They can also include monitoring services to allow for early detection of data breaches – theft of intellectual property and targeted cyber-attacks. The ultimate goal of security, however, is to monitor and protect client data. If you betray client trust, you lose business. So, security is one of the most vital services IT can provide your business. Need an Outsourced IT Service? At Scenic City Business Solutions, we have experienced IT professionals who can help your business stay on track with the latest security trends. Give us a call at (423) 777-4822, email us at info@sceniccitybusiness.com or complete our online contact form to start working on your payroll solution today.